Today I would like to share a Turkish dessert recipe with you. The ingredients might sound not like a typical dessert, but the taste is good and unique, you should definitely try it! 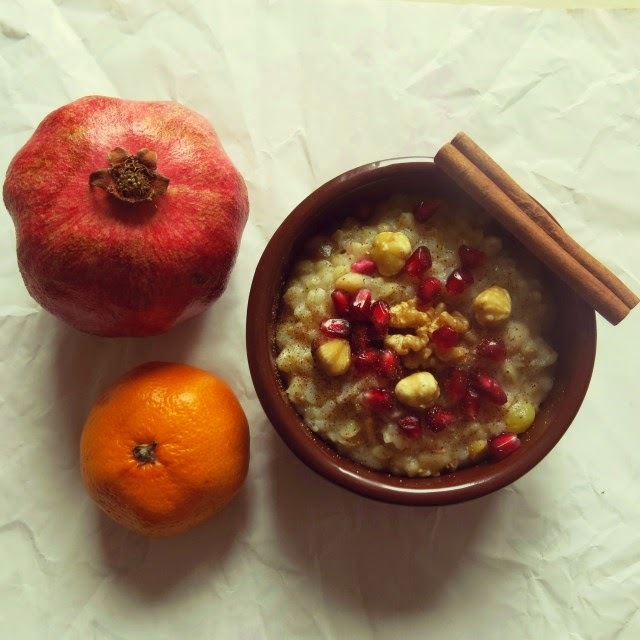 There are many different Aşure recipes, I got inspired by this one. It is believed that when Noah’s Ark came to rest on Mount Ararat (in northeastern Turkey) after the flash flood, he celebrated with a special meal. 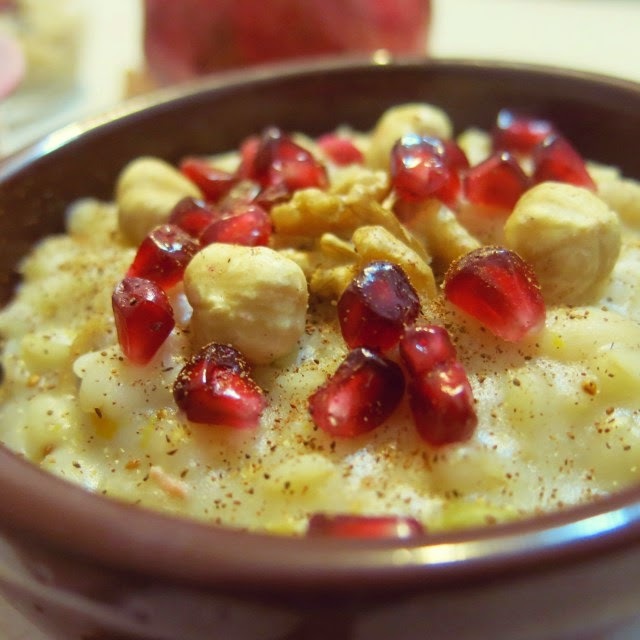 Since their supplies were nearly exhausted, what was left (primarily grains, dried fruits and the like) was cooked together to form a pudding, what is now called Aşure. The Day of Aşure is an important day in the Muslim year, and is observed by Muslims world over in honor of the prophet Moses. The Tenth of Muharrem Day of Aşura also marks the end of the Battle of Karbala and is a special day of observance in Shia Islam. 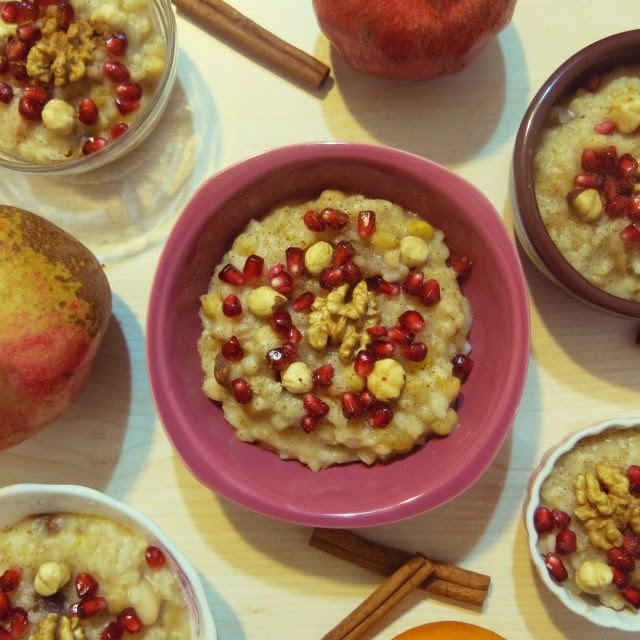 Among Turkish and Balkan Sufis (especially Bektashi), the aşure pudding is prepared with special prayers for health, healing, safety, success and spiritual nourishment. Soak the wheat one night in cold water. Cook the wheat on the next day for 30 minutes, afterwards let it rest in the water for about one hour. Heat the wheat again and add the rice and chickpeas. After a while you can add the beans, dried grapes, dried figs and dried apricots. Then add the flour and water mixture and stir well. Add the orange peel, milk and cinnamon. You always should stir carefully and you can add hot water to vary the consistence. 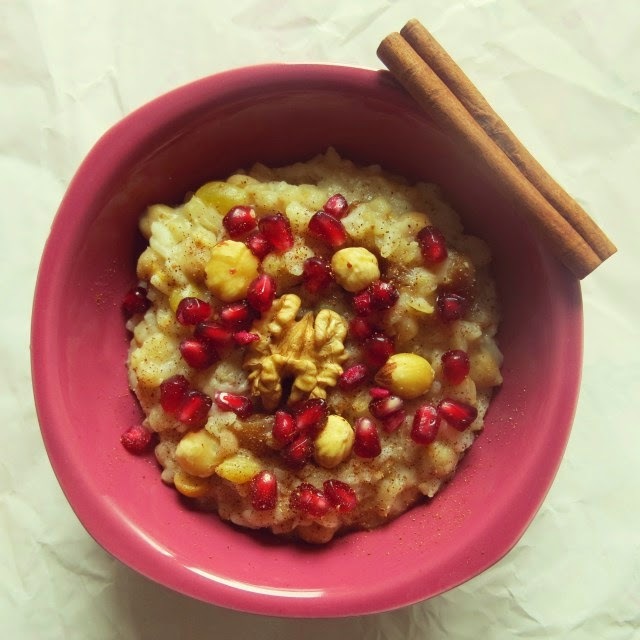 In the end fill the aşure in little bowls and decorate them with hazelnuts, walnuts, pomegranate seeds and cinnamon. This blog post was originally shared on SliceofIstanbul, then re-published on Atdaa with author's permission.